Arsenal full-back, Carl Jenkinson recently completed yet another temporary move away from the Emirates Stadium. This time to Championship side, Birmingham City and it’s a move which could prove to be his last with his Arsenal contract set to expire this summer. But what effect has the loan system had on him as a player? Jenkinson is a perfect example of a player who found himself stuck in the perpetual loan cycle in the worst possible way. Seemingly not wanted by his parent club and no permanent deal elsewhere materialising. The player loan system has become a staple of English football, in particular for those clubs lower down the structure. Many lower league sides often rely on the loan system to fill vital holes in a squad for a fraction of the cost in comparison to permanent signings. This makes perfect sense to clubs with smaller budgets and often makes equal sense to young players looking to gain first team experience. All with the goal of getting consistent game time followed by a chance to break into the first team at their parent club. However, with more and more Premier League teams snapping up young players across the country, there are less and less opportunities for these players to establish themselves in the first team thanks to the sheer numbers and level of competition. As a result, more and more young players are spending more time out on loan at other clubs to continue their footballing education. Take the most prominent example of Chelsea, who this season alone have sent out a whopping 38 players on loan to other teams. The lack of first team opportunities has led some players taking their fate into their own hands. Nathaniel Chalobah and Nathan Aké both secured permanent transfers away from Chelsea to ensure the consistent game time they feel they deserve. Chalobah and Aké are both still relatively young players, both 22-years-old. Despite their relatively tender years, Chalobah in particular has been loaned out six times to six different clubs before he signed permanently for Watford this summer. So despite playing consistently for various clubs, he was never given a sustained opportunity in the Chelsea first team. At 22, he is still young enough to realise his potential and at Watford he will get consistent football at Premier League level. Jenkinson, on the other hand, is now 25-years-old and having spent six years at Arsenal has still yet to manage 40 league appearances for the club. He’s had three separate loan spells, two at West Ham and one beginning this season for Birmingham City. The full-back featured consistently for West Ham in his first spell during the 2014/15 Premier League season but after his return to the Hammers the following year, his playing time was limited due to injuries. Jekinson now finds himself dropping down to Championship level to get consistent playing time with Birmingham and at 25 he needs to have a solid and consistent season of football under his belt to attract potential suiters come summertime, with a seemingly inevitable release looming. The main difference between the likes of Chalobah and Jenkinson is the former has made a decisive career move to a team where he’ll play first team football at Premier League level. Whilst still at an age where he can develop and realise his potential moving into the prime of his careers. 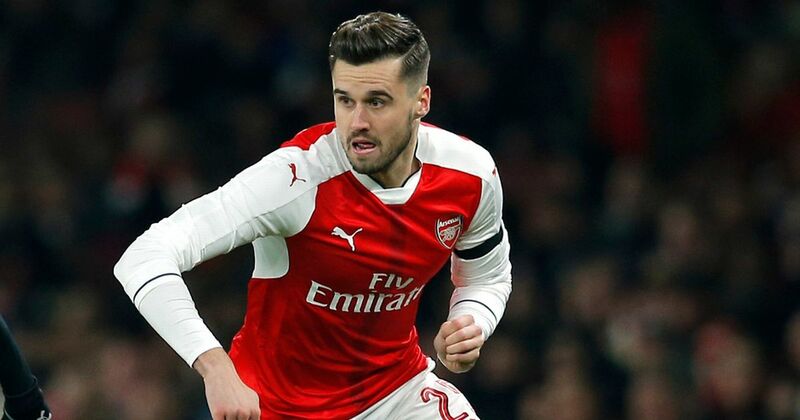 Jenkinson on the other hand, has trodden the path of the perennial loan player seemingly in vain, which may actually be no fault of his own it must be said. He’s seen his career stagnate as a result, with each subsequent loan deal representing a stop-gap until his contract runs out. The difficulty of parting ways permanently with the club he’s supported since he was a boy may be painful but surely it would make more sense to seek a move to a club where he will have a realistic chance of starting games? The loan system itself isn’t the issue here. Lower league clubs rely on the system to compete and there are prime examples of players who’ve flourished as a result of loan spells in the Football League. Part of the problem is the abuse of the system by the biggest teams who stockpile young talent with little or no intention of giving them all a path to the first team. It’s simply another mechanism to ensure the best young talent remains at the richest clubs and fuels a market more akin to the leasing of assets from one company to another. The other part of the problem rests with the players themselves. I can understand not wanting to give up the dream of playing first team football at Manchester United or Chelsea for example, or throw away the elements of comfort in a familiar environment but the risk of moving out of your comfort zone is certainly worth the reward. It’s refreshing to see players like Chalobah and Aké making decisive choices to improve themselves and their careers as footballers and reaping the benefits as a result. Hopefully, Jenkinson follows a similar path and makes the best decision for his career come next summer.